The launch of the Nintendo Switch is rapidly approaching on the 3rd of March and today Nintendo have confirmed that the Nintendo eShop will be ready to go from day one, complete with a lineup of downloadable indie games. Be sure to let us know what you think of this news with a comment below. Fast RMX day one buy! Good news. Real shame about no VC at launch but the main reason I wanted that (ignoring the questions it raises about how prepared they are and how competent their handling of the machine is likely to be) is to bulk up the quiet first few months of releases. Fast RMX and the new Shovel Knight (and World of Goo etc?) will do that. So tempted to double dip on both of these. Barely played the Fast DLC but the game was priced so fairly I'd happily buy again. I struggled with Shovel Knight on 3DS but loved it, may need the Switch version. Yatch Club mentioned on Twitter there won't be any kind of cross-buy promotion on Shovel Knight, before anyone asks. Great news, though. It's always good to have more games. This is great news. Since I never got a Wii U I have never played Fast Racing and will now look forward to it on day 1 along with BotW. Awesome news! Waiting for Shovel Knight Specter of Torment! No VC at launch is very disappointing but I can understand why. Old games won't hold Nintendo afloat if 3rd parties choose to abandon the Switch because people are buying VC instead of their games. I will absolutely support these great titles... Good news! I'm lucky, never played fast racing or shovel knight. Day one is looking good for me = Zelda, bomberman, fast rmx, world of goo and shovel knight! I already own Shovel Knight on 3DS, I'll probably hold off and wait and see if they release a physical version in the future. Nice to see there's more games available but at the end of the day they've all been on the Wii U.
I didn't realize that Specter of Torment is a limited time exclusive to the Switch. I need that expansion on my 3ds ASAP! YES!!!!!!! So pumped for Fast RMX on launch day. Move over Zelda, lol! Nice! I'll probably end up nabbing Fast RMX right away. Where does it say there's no Virtual Console at launch? Fast RMX I never owned so I'm thinking it would make nice variety out of the gate too... my daughter loves teh racing games. 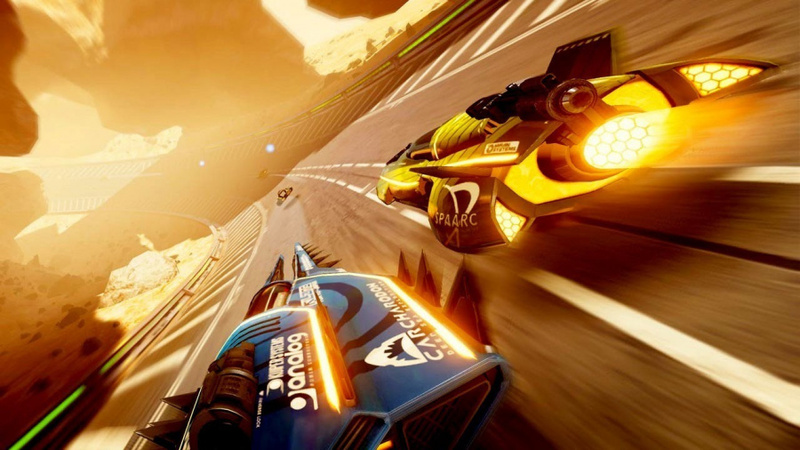 FAST RMX is going to look spectacular on the little screen. I never picked up the DLC for Wii U,so I'll have those 8 new tracks and the 6 new Switch tracks.With these new tracks,the improved visuals and online,it will feel like a proper sequel to me rather than a "deluxe" port.If only MK8 had added another 2 new cups as well.I'll be getting MK8 Deluxe for sure but it'll be a grudged buy.Once I'm playing Battle Mode I'll soon get over it though. There's another news article about it. Mmm.... While I'd love to give Fast RMX and Shovel Knight a try, I'll wait and see if they get a physical release down the road. There'll be no physical release of these games? march 3rd just got a lot more expensive!! might have to drop i'am Setsuna for now just so I can afford these bad boys! Oh man, Fast RMX day one, that is just asome. 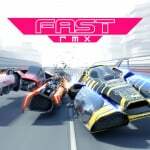 Any idea of a price for Fast RMX in the UK? I'll probably wait on fast, but shovel knight I definitely want to get. .... wait, are these digital only? There wont be a cartridge version of FAST RMX? If not, I will be disappointed.... but day#1 anyway! Fast is day 1 for me. Fantastic news. I had assumed this was the case, but now with confirmation I am glad as all can be. Zelda, Fast, Shovel, Snipperclips, and that's just the first 2 weeks. Fast RMX for me day one with Zelda! Whoop!!! This is truly fantastic news. Honestly feel like its a fairly strong launch line up now. Zelda, Fast, shovel knight bundle, binding of isaac, i am setsuna and maybe 1-2-switch (£30 at my store which is a resonabke price for what it is) at launch for me. Thats 3 great indies including an RPG, a long awaited adventure game that woukd have to be doing something very wrong to be less than a GOTY contender. And a party game to show off the functionality of the Switch. Yes, im happy with this line up now. So, if I bought Shovel Knight on 3DS, and I want to play Specter of Torment on Switch, will I have to buy the base game on Switch in order to do play SoT? Or is my only other alternative to wait for SoT to release on the 3DS in order to play it without extra cost? I will double dip on FAST RMX. Need these games. Especially FAST. I'm now on a mission to build a portable Switch game collection. 3DS was cool, but I want a real, HD game collection for on the go, with luxury controllers. 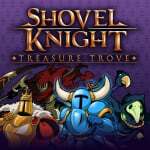 I don't know about FAST, but Shovel Knight is supposed to have one more campaign in the pipe after Spectre of Torment. May be a while before a physical release happens. Let's see what I've got to spend next week budget wise, because I'm definitely interested in Fast RMX for a racing fix, and Shovel Knight is a must since I didn't get to finish it before I sold my Wii U. Gonna be a good year, I can see it now! Happy gaming everyone! Day one but wondering if they are download only at launch will physical version come out later. Fast +Zelda for me. That'll do just fine. I've got Horizon Zero Dawn, Neir and Mass Effect all jammed in there too. More than enough. I'm thrilled. 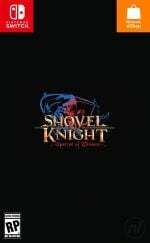 Need to see reviews for shovel Knight and how it plays without a D-Pad for sure. Any release date for street fighter? Fast RMX and Zelda together for me. I'll try both games by using the Joy-Con grip before I purchase the Hori Pro Controller for my Switch console. I'm definitely getting shovel night. Never picked it up. Ooo all the games. They will be mine! @Bread-Not-Toast no not true. Fast RMX has got double the track number (i.e. half are new) and a much improved multiplayer so to me it's nearly a full sequel. I'll be getting it for sure plus Spectre of Torment. this is great news for day one gaming! Getting Treasure Trove!! So glad I already bought that micro SD card. Hm, I would buy these at launch, but I want to save up for ARMS, Spla2n, and Mario Odyssey. I own FRN and Shovel Knight anyway, so I can wait. RMX is a must buy, can't wait! Definitely a day one buy to me. I'm glad Shin'en kept the Fast series exclusive to Nintendo's platform for this long. Well at least I have Fast RMX to play on launch! Wait, FAST RMX is a day 1 release!? That's it, I'm getting a Switch on release.